The beginning of the year is such an exciting time. There are new students to meet, expectations and procedures to teach, and everything in between. Despite the craziness that comes with the first few weeks of school, I always find time to read aloud to my students. Picture books are a great way to have conversations about rules, expectations, behavior, making good choices, kindness and friendship. This post contains affiliate links for your shopping convenience. 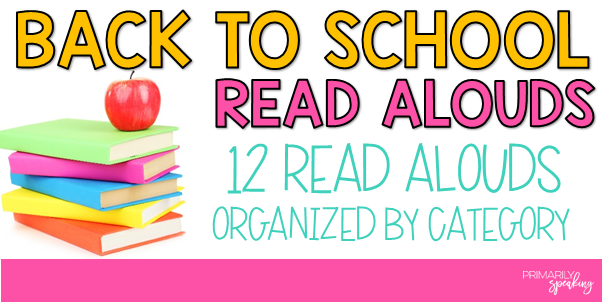 I earn a small commission each time someone makes a purchase through one of my links, which allows me to buy more books for my classroom. :) For more information about my Disclosure Policy, please visit this link. If you use voice levels in your classroom, then you might find this book helpful. Isabella has a really, really loud voice. With the help of her teacher she learns that there are different voice levels reserved for different kinds of communication tasks. 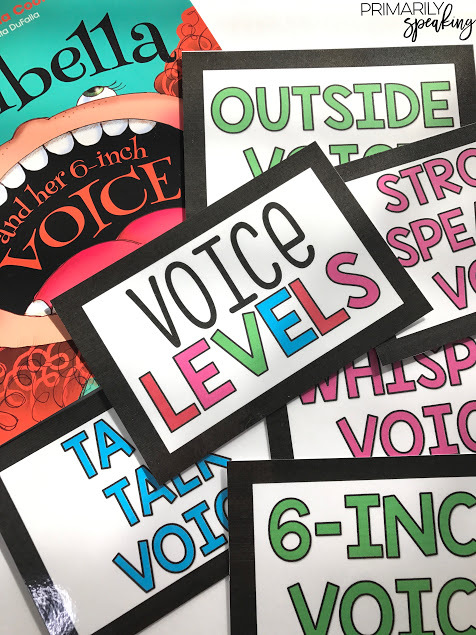 This book is perfect for talking about voice levels in your classroom. Better yet, if you use a voice level chart, this book is a great way to talk about those levels. (*see below for a fun surprise). I read this book every year as a follow up to our discussion about our class rules. 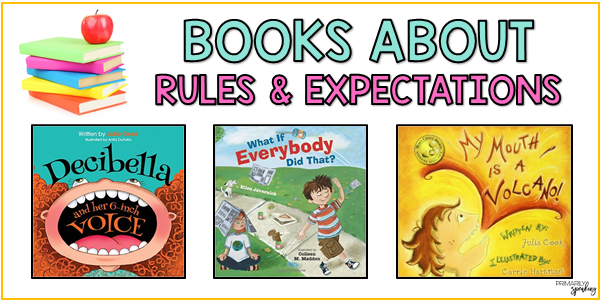 It is great for helping students see why we have rules and expectations. It gives lots of examples of how things would be if everybody went about their day ignoring the rules. I love this book. 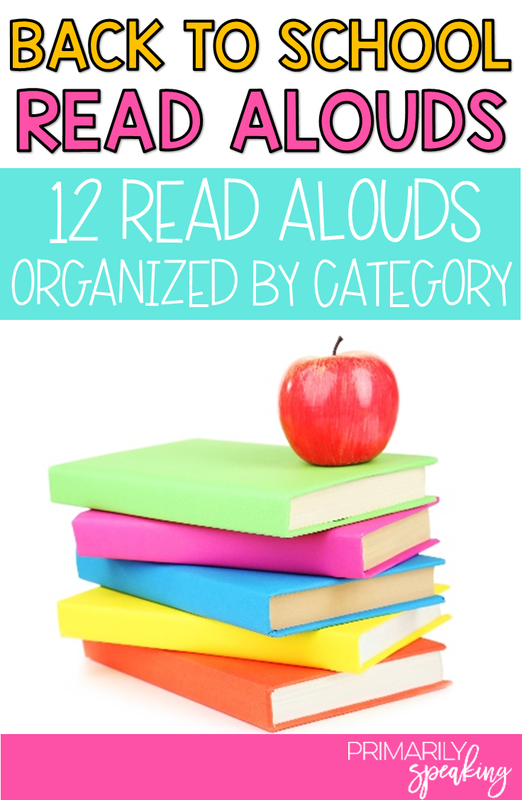 It's perfect for primary students who often struggle with waiting their turn to speak. It's a fun story, but it is useful in leading a discussion about the need for raising hands and/or waiting for one's turn to speak. Manners are a big deal. I expect my students to use words like "please" and "thank you" and this book reminds the reader just how powerful these words can be. 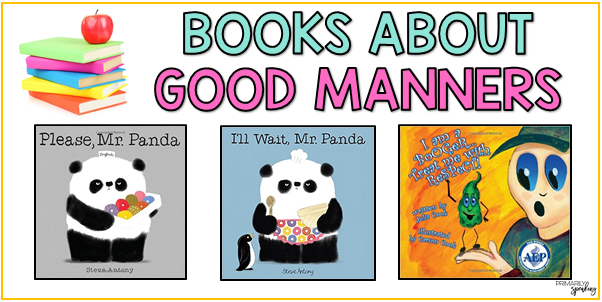 The text is very simple and it is a very quick read, but it is great for facilitating a conversation about manners. Ok, so this book really, truly addresses the act of being patient, but that goes along with having good manners. In my book, anyhow. ;) Again, the text is simple and it is a quick read, but the students "get it" and it's another great lead in to a conversation about good manners (or being patient). First of all, the illustrations in this book are precious. Illustrations aside, it is a great (and simple) read for encouraging students to be persistent. It's great for leading a conversation about never giving up and moving forward, no matter what obstacles we face. I know that all sounds so grown up, but the text and illustrations are meant for primary aged students. The message will make even more sense when it is seen and discussed. The character in this story, Beatrice, is a perfectionist, but she eventually makes a mistake. This book is an important one because often times we have a few students who fear making mistakes. They look at small mistakes as detrimental to their overall success. This book can help facilitate some important conversations about the importance (and power) of making mistakes. 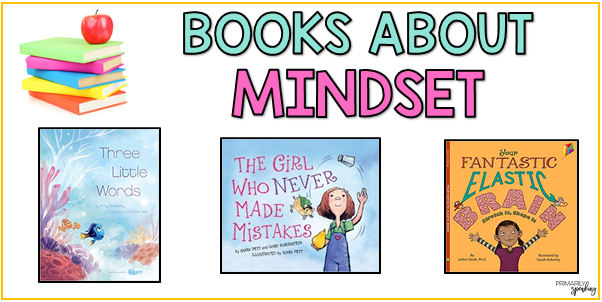 This book actually shows students how the brain works, but it is perfect for (once again) leading conversations about making mistakes, and how learning and trying new things (even if they are hard) makes our brains grow. I love this sweet story of two unlikely friends who, despite the norms of their world, decide that their friendship is most important. At the beginning of the year, students are making new friends, and meeting up with old ones. I think it's good for them to be reminded that any friendship they form should be based on how they feel in their heart, and not based on what others tell them. Kindness is a recurring theme in my classroom all year long, but I definitely like to get started with it from the get go. 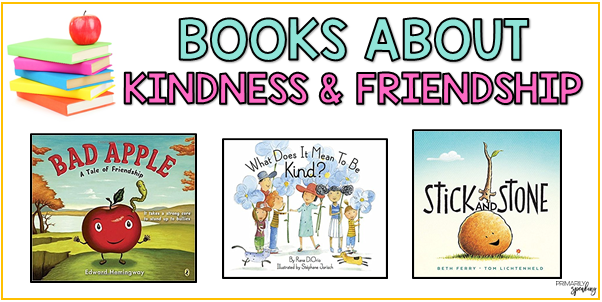 This book is great for explaining and showing what kindness looks like (and just how easy it is to be kind). After reading the book, we usually make a list of ways we can show kindness at school. Each day, the students choose an act of kindness for the day. This is a sweet story about kindness and friendship. It shows how friendship can be born out of kindness and that good friends don't give up on one another.